Virginia has one of the country's oldest and most valuable seafood industries. But as demand grows around the world and climate change affects the catch, will it survive? Sandy Hausman examines the Future of Virginia's Fisheries. This series was produced with assistance from the National Press Foundation. It’s a dangerous world for fish and other marine life. Populations are coping with climate change, pollution and fishermen armed with high-tech devices that make it easier than ever to harvest the sea. So what can consumers do to help assure sustainable fisheries? Virginia’s seafood industry is one of the oldest in the nation, valued at over half a billion dollars. We’re the fourth largest producer of finfish and shellfish – behind Alaska, Louisiana and Washington State. The Commonwealth keeps an eye on watermen to prevent over-fishing and assure food safety for consumers. On the front lines, a force founded in 1875 as the Oyster Navy. Like many cities in southside Virginia, Martinsville lost thousands of jobs as tobacco, furniture-making and textiles left for places where labor was cheaper, but as those industries went away, a new one grew up thanks to one man with an idea. It's now the largest indoor fish farm in the world. Virginia is the top supplier of seafood on the east coast. 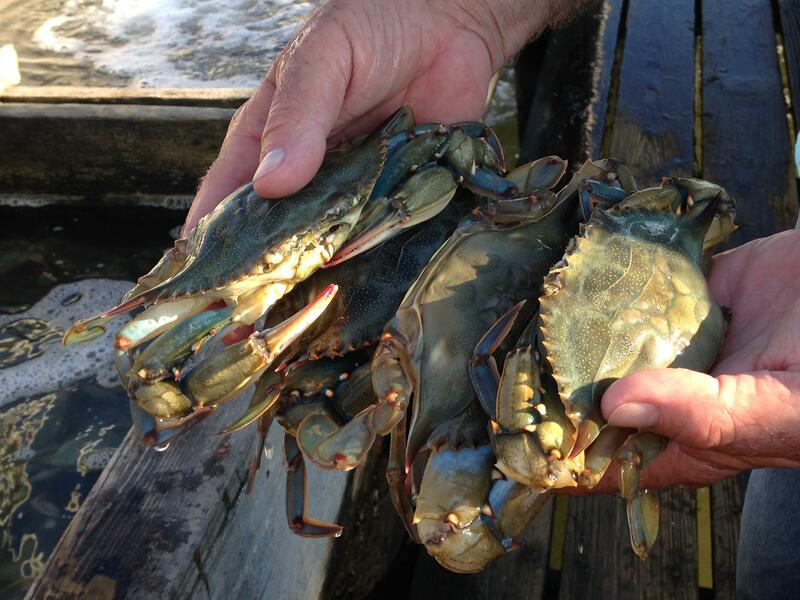 Our watermen harvest more than four dozen species – scallops and oysters, blue crabs, clams, flounder and other fin fish worth over $200 million. The creatures that live off our coast face some big problems, but scientists here are hoping to find solutions that make sustainable fishing possible.